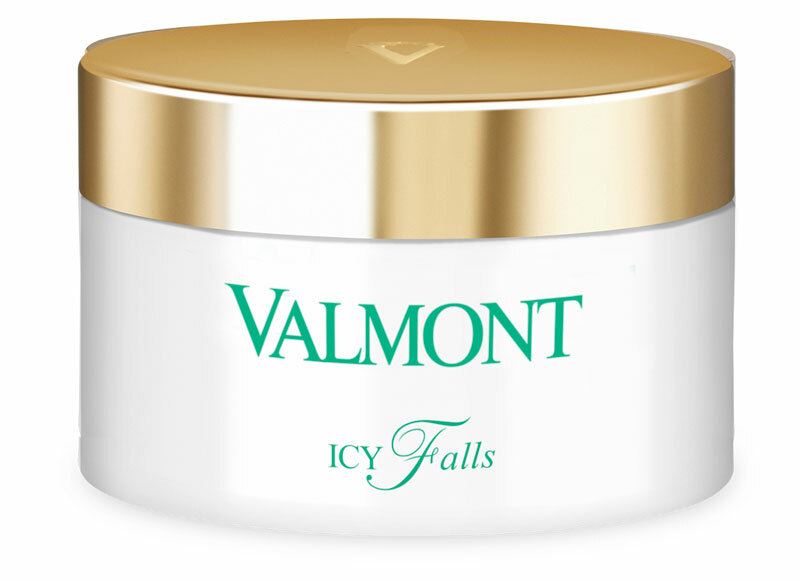 Editor Simone was invited to try out the new purity line from Valmont. The Purity of the Alps treatment offers a true revival for the face. For those moms who are in search of clean skin gently and comfortably freed of impurities, this expert treatment includes no fewer than 12 steps. From pre-cleansing to the final touch, Purity of the Alps blends the delicacy of subtle gestures with the effectiveness of Valmonts products. 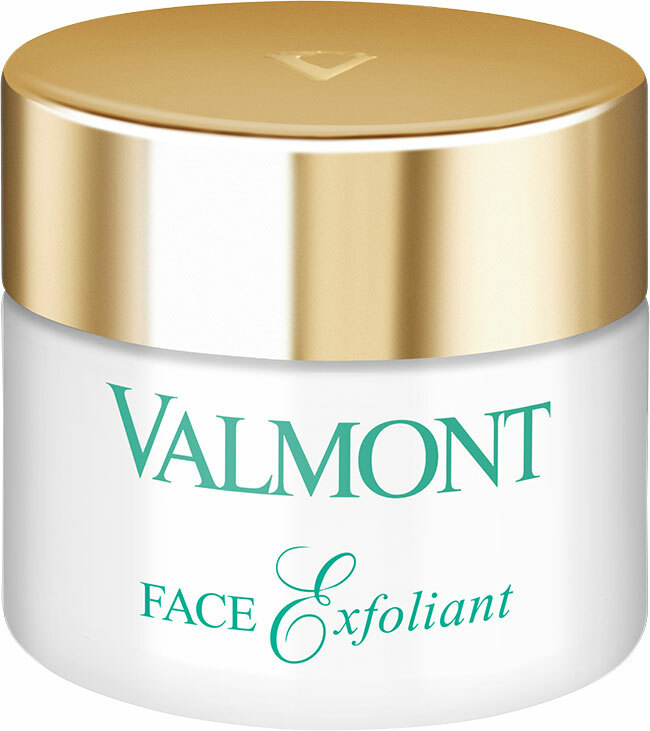 Designed to purify, balance and unify the complexion, this latest Valmont treatment is intended for all, and particularly for women whose skin displays a flawed texture, an uneven complexion or a predisposition to imperfections. We will walk you through the 9 skincare products from the Purity of the Alps line. Icy Falls lets all imperfections and pigment spots disappear. The gel should be massaged in the face so the epidermis can properly absorb it. The gel texture provides a sensory explosion that, once rinsed, leaves the skin feeling smooth and soft. Wonder Falls creates a sensual, luxurious enveloping cleaning ritual that removes even the most long-lasting make-up in a soft way. The moment Wonder Falls touches your skin, the velvety texture changes into a soft and rich oil. Make-up and impurities will be removed within seconds. Your skin will look soft and radiant. A perfect basis for a glamour look. Bubble Falls is like a relaxing bubble bath for the skin. The rich, sulphate-free foam provides a silky cushion between face and hands and provides deep cleansing without drying out the skin. Bi Falls is the ideal eye makeup remover that gently removes any glamor look. The non-greasy texture softens even the most stubborn pigments, while respecting the sensitive skin around the eye contour, giving the eyes a glowing effect. Aqua Falls is the all-in-one solution with a unique water-based formula that ensures a fresh and soft-feeling skin. Make-up and impurities that make the skin dull are collected tactfully and effectively. With Aqua Falls, toner and skin rinsing after cleansing is a thing of the past, making it the ideal cleaner for a quick beauty process. Or a rich addition for a deep cleansing treatment. 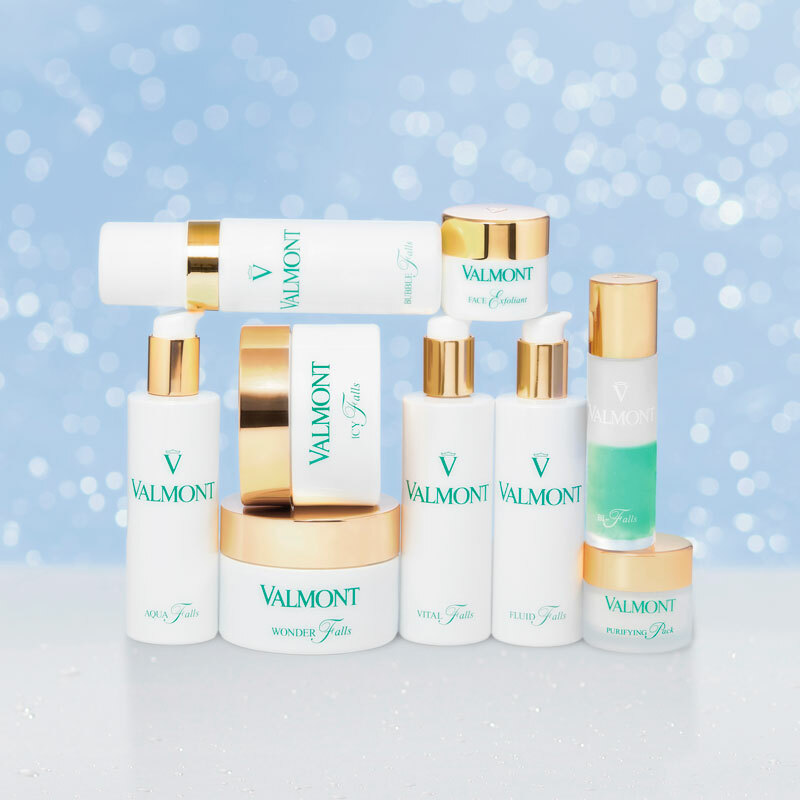 In 2019, Fluid Falls and Vital Falls – the Valmont icons for more than 20 years – will have a renewed, generous look while faithfully retaining the unique formula. The iconic white cleaning milk White Falls takes on the new name Fluid Falls. It is a liquid cleansing milk with a rich, unique, light formula. Vital Falls is the ideal partner for Fluid Falls cleansing milk. Vital Falls is a stimulating tonic that eliminates any trace of impurities that make the skin surface dull. Together they form a thorough basis for the cleaning process. Face Exfoliant distinguishes itself as the perfect scrub for any skin through the combination of a soft massage cream and the exfoliating effect of fine, non-irritating Quartz crystals. Thanks to the silky texture, the skin cells are open to the rich effects of the ingredients. A weekly peeling does wonders for the beauty of the skin and is an important, often forgotten, step to cleanse the skin. The Face Exfoliant is a delight for the skin and an essential part in any beauty ritual. 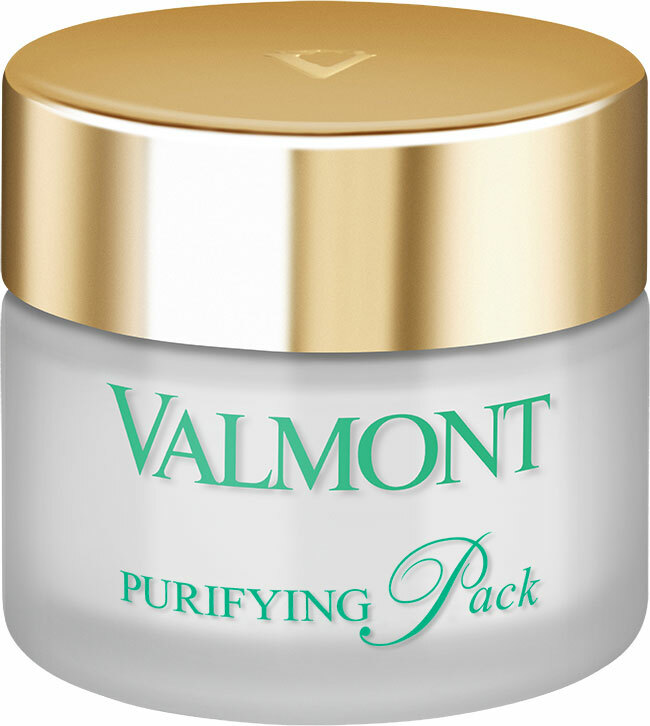 To return to the roots of beauty mixed with comfort of the 21st century, Valmont developed Purifying Pack. This skin-purifying clay mask – consisting of black clay sludge, green clay, burdock root and pink seaweed extract – has a deep cleansing effect. It absorbs impurities and refines the texture of the skin. As a final settlement, it gives the skin a perfectly matte, fresh complexion. It is not for nothing that it has been the wonder product from the Valmont collection for years. The Purity of the Alpes line is perfect for a me-time moment at home, relax while you take the best care of your skin. Editor Simone was surprised with her soft skin and radiant glow after the skincare treatment. And recommends the products for every mom who experiences impurities and pigment spots as a result of their pregnancy. You can also just use a combination of some of the products for a quick and easy skincare routine!